Explains how mathematics, physics, business, and engineering-based concepts are used to develop and design a sensor which complies with a set of specific requirements. Discusses essential topics such as cost estimation, signal processing, noise reduction, filters, phased arrays, radars, optics, and radiometers used in space operation. Covers a range of typical sensors used in the spacecraft industry such as infrared, passive microwave, radars and spacebased GPS sensors. Concludes each chapter with examples of past and current orbiting sensors such as DSP, SBIRS, CHAMP, LANDSAT, and GOES to illustrate how concepts are applied. Spacecraft Sensors is an invaluable resource for engineers, technical consultants, those in the business division, and research scientists associated with spacecraft projects. 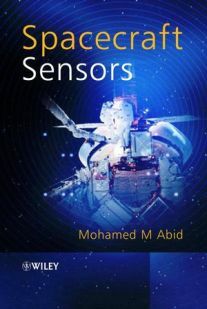 It is also an excellent textbook for undergraduate and postgraduate students studying the development, design and applications of spacebased sensors.